Have you ever been taught the correct way to clean your teeth? If you’re like most of us, probably not. The chances are that more than likely you were shown by your mother when you were a small child. And she, no doubt, was shown by her mother. So poor technique and bad habits tend to be passed down from generation to generation. 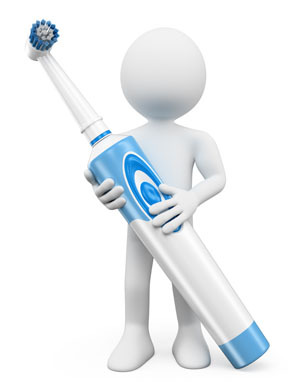 Here are the Carisbrook Dental Top Tips to cleaning your teeth. 1. Toothbrush. Choose a good brush that has soft bristles (not hard or stiff bristles). Alternatively you could use a good quality electric brush. Top Tip: Always choose a good recognised manufacturer and don’t go for cheap, unbranded products. We recommend that you hold the brush at 45° to the gums and use a small circular cleaning motion. Don’t press on too hard. 2. Toothpaste. Always choose a toothpaste that includes fluoride. Do NOT go for a ‘whitening’ paste or a product that contains sodium bicarbonate, because these are too abrasive and will, over time, damage your teeth. At Carisbrook we recommend Colgate Total or Oral B. Top Tip: Never rinse your mouth out after brushing, just spit, as the fluoride in the toothpaste helps strengthen your teeth. 3. Floss. You should floss your teeth at least once every day. Brushing will clean approximately 60% of the surface of the teeth, so that means that around 40% is left untouched, and this can lead to tooth decay and gum disease. Flossing helps to protect the surfaces between the teeth that brushing cannot reach. Top Tip: An alternative to flossing is to use one of the specialist Interdental Brushes that are designed to clean in between the teeth. 4. Mouthwash. We recommend that you regularly rinse your mouth with mouthwash, especially after cleaning. Top Tip: Always choose a non-alcohol based mouthwash, and make sure that it contains a fluoride ingredient. Rinsing with a good fluoride mouthwash will remove debris, mineralise your teeth and strengthen them. 5. Time. Time is free, so apply it generously. Always clean your teeth at least twice a day – as soon as you get up in a morning, before breakfast, and again last thing at night before going to bed. If you can clean them again during the day, so much the better. Top Tip: Spend at least 30 seconds on each quarter of your mouth. 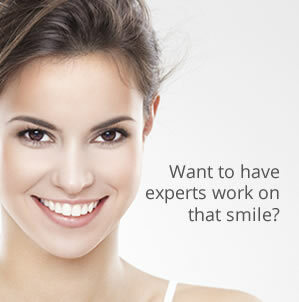 That means each full teeth-cleaning session should last at least two minutes in total. Some electric toothbrushes include a built-in timer to guide you through the process. And finally… At Carisbrook we recommend that next time you visit your dentist or dental hygienist you should discuss the correct teeth cleaning techniques with them. Better still – get them to give you a demonstration.